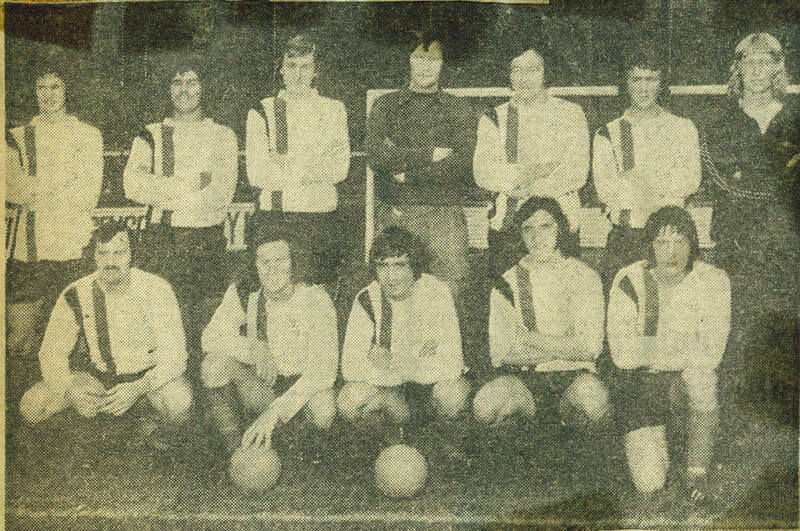 The Dover team pictured before the 1-1 draw with Gillingham in a friendly at Crabble on Monday, 12th.August, 1974. Our goal was scored by Alan Fursdon. Back row (left to right): Alan Fursdon, Les Hall, Kevin Simpson, Mick Gadsby, Dave Houston, Kenny Reynolds, Ian O'Brien. Front row (left to right): Tony Moy, Kenny Wallace, Peter Brooks, John Arnold, Chris Hamshare.